Current ways of managing and finding parking in our cities are inefficient, resulting in congestion and increased carbon emissions as well as wasting commuters' time, leading to productivity loss and loss of economic opportunities. At a macro level and from a city and its urban mobility standpoint, such inefficient ways lead to inefficient city services. ParkingRhino's mission is to transform the way parking in our cities is managed and discovered. ParkingRhino Smart City Platform is an end to end parking management platform which can be used as a total control center for parking and traffic surveillance by city municipal or governments. 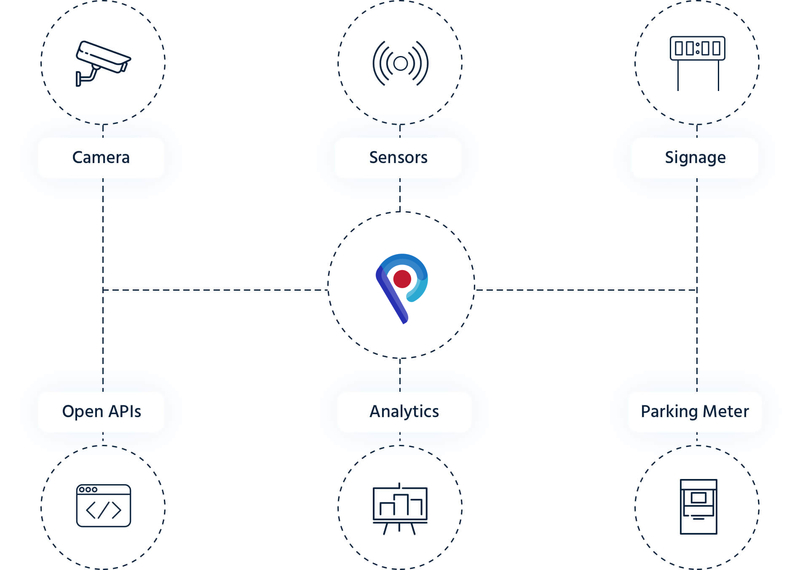 The platform leverages Artificial Intelligence for detecting parking in open-streets as well as off-street and seamlessly integrates with LoRA/NB-IOT and Camera sensors for reporting on parking app for real-time availability, real-time alerts of parking violations, electronic guidance, and advanced web-based BI tool. ParkingRhino Smart City Platform can also be integrated with Smart City Enterprise Command Center.